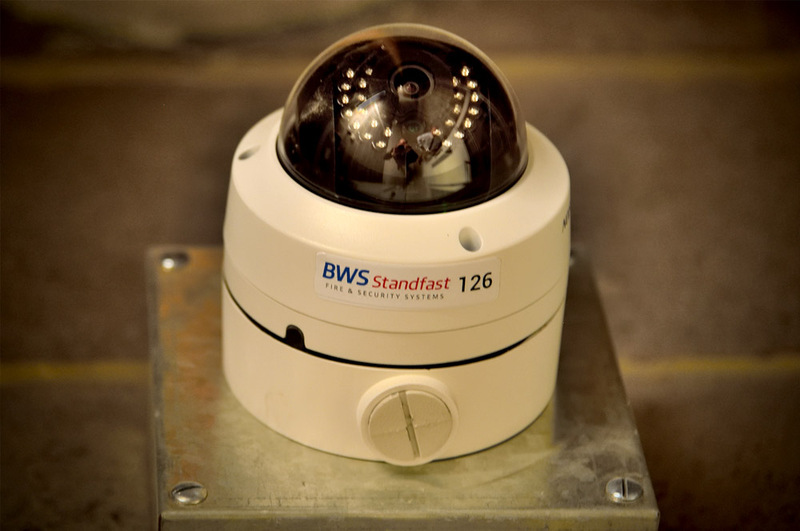 BWS Standfast install, maintain and repair a wide range of CCTV systems throughout Bristol and the South West. We handle everything from single fixed cameras to large fully-controllable multi-camera systems. Security cameras are a highly effective deterrent against theft and vandalism. As well as giving you peace of mind, the extra security can lead to a reduction in your insurance premiums. With nearly 30 years’ experience installing and maintaining CCTV systems in Bristol and the surrounding area, we have the expertise you need to make your property more secure. In need of a high quality CCTV system? "Our CCTV installers will work with you to develop a personal security plan suitable for your premises, taking into account your budget and requirements." Our CCTV cameras can be securely connected to the internet allowing your system to be monitored and controlled from anywhere in the world. This also allows you to remotely back-up and store the footage recorded. As well as overseeing their security cameras themselves, customers can also make use of remote monitoring stations. This means having a human operator constantly checking your cameras 24 hours a day, 365 days a year. As well as offering peace of mind, these operators can alert police and communicate with intruders via tannoy systems to inform them they are being watched. In many cases, effective monitoring and use of a tannoy system is enough to deter criminal activity. Our cameras record at up to 100 frames per second, use digital hard disc storage and can be controlled and monitored both on site and remotely. Our cameras for external use are all fully weatherproof with an International Protection Rating of 66 or above. The digital video recorders we use with our security camera systems include a DVD writer and USB port to enable download of image events and footage for police purposes etc. All of our security camera systems comply fully with National Security Inspectorate (NSI) requirements and are compliant with NACP 20 Standards and the Data Protection Act 1998 (DPA) which covers privacy issues. Every six months our installations are randomly audited both by ourselves and the National Security Inspectorate to ensure that we continue to meet and exceed the high standards expected by our team, our customers and the law.